Next week, I'll begin a marathon of some films that I've yet to see from the AFI's Top 100 Films list. While I don't put too much stock in any official look at the "best" movies of all time, it provides a solid framework for catching up with older classics. West Side Story sits at #51 on the 2007 version that marked the 10th anniversary of the original rankings. It also took home the Best Picture Oscar in 1962 and won nine other Academy Awards. It's an acclaimed film, but it's remarkable to note its dominance of so many categories. 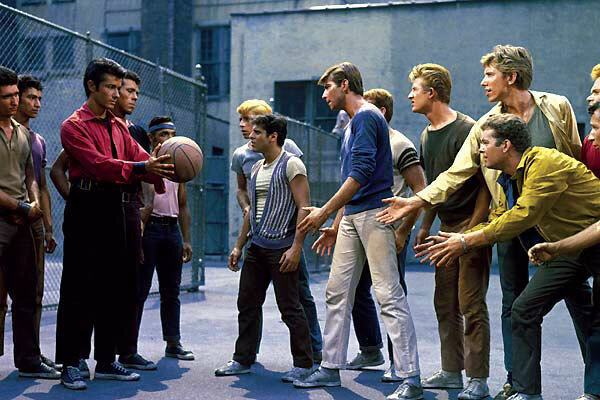 Although it loses some modern audiences, West Side Story remains one of the seminal musicals. Tony (Richard Beymer) and Maria (Natalie Wood) meet at a dance and fall in love, but there's a big complication. He's affiliated with the Jets, the white gang in New York City, while she's Puerto Rican. Maria's nationality connects her to the Sharks, who are led by her brother Bernardo (George Chakiris). The gangs have a War Council to determine how to resolve their differences. Tony and Maria are completely smitten and want to get married, but everyone around them is against the relationship. When a skirmish becomes tragic between the gangs, no one is safe when chaos takes over the streets. I hate to sound like a broken record with this response once again, but the length was a big factor in keeping me from seeing this movie earlier. It isn't easy to set aside the time to watch a 152-minute musical. I don't mind this genre and think it can be glorious if done well, but the variation of the Romeo and Juliet formula didn't sound like an exciting story. Still, I knew it was a film that should be seen given the tremendous acclaim and awards. West Side Story requires modern audiences to accept a lot to stick with a silly story. While there are iconic scenes and recognizable songs, the tone shifts from scene to scene. The slower romantic songs from Tony and Maria are lifeless and grind the pace to a halt. It doesn't help that both Richard Beymer and Natalie Wood's voices are dubbed. The hatred of the Jets and Sharks doesn't make sense because we have little evidence to support it. They all like to dance and sing; shouldn't that be enough? The culture clash is the main difference, but it takes more than a few lines to explain why they should battle. While ethnocentrism remains today, this isn't the type of movie that delves into these issues. This isn't really a fair question for a movie that's more focused on spectacle than providing in-depth characters. That said, there are some energetic performances once you look beyond the two leads. George Chakiris and Rita Moreno are both excellent as Bernardo and Anita on the Sharks side. He's a likable guy who can't get beyond his feelings of disrespect from the Jets and U.S. in general. Moreno's a powerhouse and steals every scene where she appears, especially those with Wood. Both received Oscars and deserve the spotlight from this cast. Russ Tamblyn (Dr. Jacoby!) is the highlight on the other side as Riff and recognizes that it's supposed to be a fun movie. Unlike the awkward Beymer, he finds the right tone for the role. The biggest issue with Wood as Maria is her inconsistent Puerto Rican accent. It seems overly strong in one moment and then disappears in the next scene. This makes it hard to focus on what's happening on the screen. This movie works more as a collection of scenes than a complete movie. The highlight is easily "America", an exciting tune that gives a much-needed energy boost. Moreno and Chakiris are at their best during this song, and they give infectious performances. The Leonard Bernstein music and Stephen Sondheim lyrics combine perfectly here and deliver a memorable sequence. The difficulty is that there aren't enough parts that come even close to this level. "Gee, Officer Krumpke!" is a fun scene and "Tonight" is iconic, yet neither transcends the genre. Looking at the plot, the big dance where Tony and Maria meet is well-done. Everything else grows blurry and leaves them transfixed from across the room. This is a tricky question for such a highly regarded film. 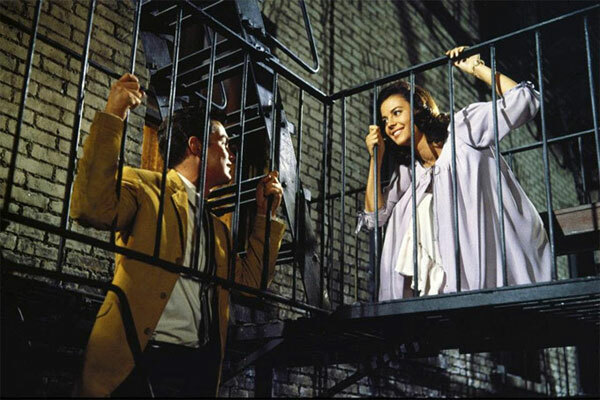 I enjoyed watching West Side Story and think it has great scenes. However, I also found it long, overly dramatic, and pretty ridiculous. The Jets are possibly the least convincing street gang in movie history. The tragic side of the plot doesn't really work and feels out of place among the songs. Even with these reservations, it's definitely worth seeing for anyone delving into the classics and the musical genre. It's surprising to realize I knew many songs without ever seeing this movie. They've become a part of pop culture and remain prevalent today. Kind of ridiculous, yes, and all the elements don't really fit together -- but this movie is so damn much fun, even with the inevitable tragic ending. :) Great review! Thanks Stephanie! There are fun moments and I'm glad I saw it, though I'm not totally sold on its greatness. Great review! At one time, this film was in my top ten favorites, but it has gradually faded in my estimation over the years. Though it's still a fun movie with high production values and memorable moments, the flaws really do stick out now. Josh, this was my first viewing, but I can see how it's the type of movie that people can love. The big thing is trying to wade through the silliness and just enjoying it. It didn't totally work for me, but it was definitely worth checking out. I actually like musicals quite a bit, mostly because they are fun and entertaining, but I didn't care for West Side Story that much at all. As you said, ballet dancing street gangs are about the least intimidating characters ever put on film. I did like a number of the songs, as well as Moreno's appearances, but that was about it. Yeah, I found it hard to watch the dancing gangs and not laugh. It reminded me of Michael Jackson's "Beat It" video, though I know that came long afterwards. I enjoyed the chance to see West Side Story, but I don't expect to watch it again. I appreciate the comment. I understand the racism being the motivation for the fights, but it seems like there's more than just that between the gangs. It's really not a big issue with the movie, but it just struck me as being thin. I did enjoy a lot of the scenes, even if I didn't blow me away overall. Thanks for nice response. And for the fun site! No problem. I'm glad you're enjoying the site! I read a book as a kid, "It's Like This Cat", where at one point the main character goes to see the play on Broadway and is struck by how real it seemed despite all the singing and dancing. The NY kid thought the gang depiction was accurate and the love story obviously Romeo and Juliet in present day. The Tony and Maria story is at the heart of the movie and while "One Heart, One Hand" is a little slow, "Tonight" and "Somewhere" are beautiful evocations of young love, dreams and hopes. My kids laugh at me all the time because the ending of this movie always provokes a tear or two. It's been a few years since I watched it, but I will say that I did enjoy the spectacle and the energy. The main story just didn't grab me as much on the emotional side. Still, I can totally get your reaction. West Side Story is my all time favorite movie, hands down! I never get tired of seeing it over and over again. I'm keeping my eyes and ears peeled for another screening of this great film in my area. It's a film that still tugs at my heartstrings after all these years, and, believe it or not, I'm saying this with personal conviction, regardless of what anybody else here thinks. I've heard from plenty of huge fans of West Side Story, so I think that I may be in the minority a little here. I did enjoy it, especially the dance parts. West Side Story is a film that I never get tired of seeing over and over and over again, particularly when it's viewed on a great big, wide screen, in a real movie theatre, with the lights down low, and sharing the experience with a whole bunch of other people, whether one knows them or not. 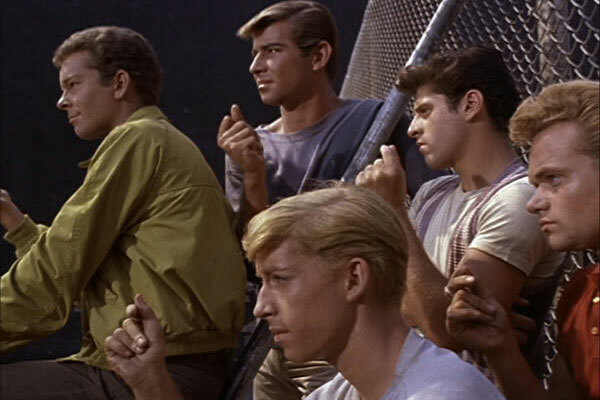 I saw one screening of the film West Side Story in my general area, and I'm seeing another screening of this great golden-oldie-but-keeper of a Classic film next month. That sounds like a great experience. 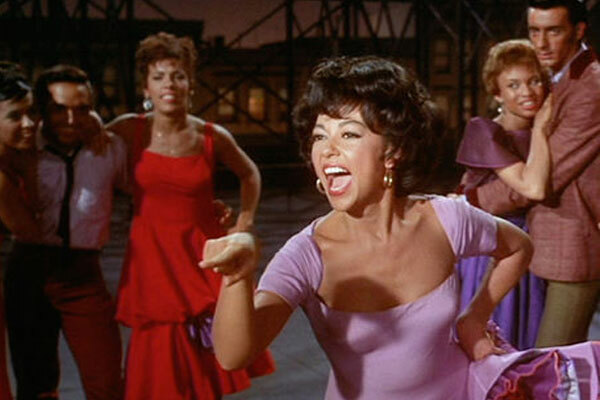 I expect that West Side Story would work better on the big screen, especially during the musical numbers. Glad you had a chance to experience it! 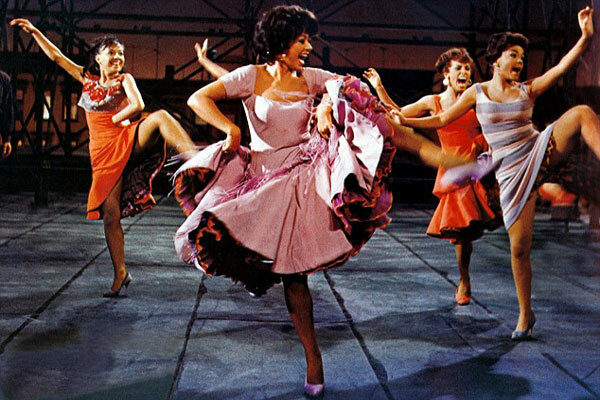 West Side Story, although enjoyable on TV, is truly dynamic on a great big, wide movie theatre screen. All of the characters, from the warring Jets and Sharks, to the romancing Tony and Maria, seem to move much more freely and fluidly, and in a much wider, more open space. I can imagine. The spectacle of the more epic scenes could only work better on the big screen. Thank you, Dan. West Side Story is a classic that's in a class all by itself, and a work of art, to boot. One of the real strengths of the film West Side Story is that when it was transferred from stage to screen, it was preserved as a larger-than-life piece of theatre. Since I was still a teenager in high school when I first saw the film West Side Story, at around Christmastime of 1968, as a high school Senior, at a now-defunct cinema north of Boston and the town that my younger siblings and I grew up in, I identified with the Jets, the Sharks and their girls, regarding kids being kids, and so on, but when I grew a little older and began seeing the movie West Side Story in the mostly-defunct independent repertory cinemas in our area, I began to appreciate this great classic for the great work of art that it was, as well as the dancing, the story, the musical score, the characters, and the cinematography and beautifully-choreographed dancing by (the late) Jerome Robbins. Thanks for the great comment. 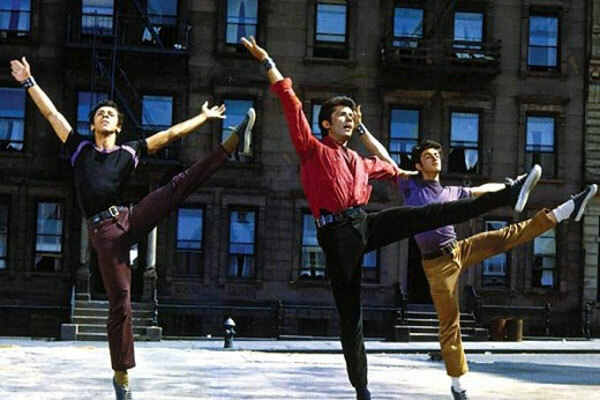 I definitely think that I would have connected even more with West Side Story if I'd seen it when I was younger. I grew up in the '80s, so it was already considered a classic by that point. The dance sequences really hold up well! Thanks again. 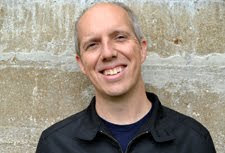 Hi, Dan. You're welcome. I can see where you'd have a harder time connecting to a film such as West Side Story, since you grew up during the 1980's. Having grown up during the 1950's and the 1960's, I can still connect with this great film in more ways than one. I think that definitely plays a big role. Thanks!